← Ashland, New York. January 28th, 2011. 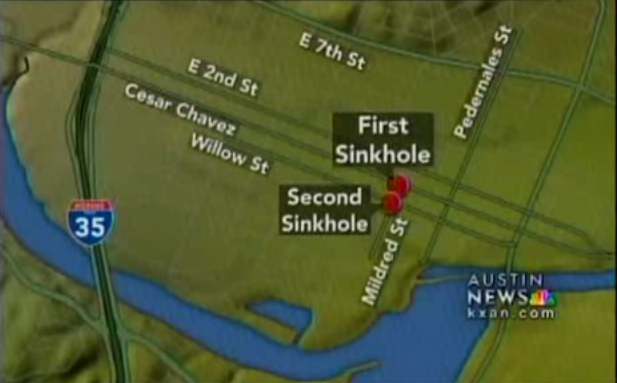 AUSTIN, Texas — A 10-foot-deep, 20-foot-wide sinkhole has formed in an intersection in eastern Austin. Austin Water Utility officials said that they expect the 30-foot-long sinkhole at the intersection of Mildred and Willow streets will take up to three weeks to repair. The Austin American-Statesman reports the 8 a.m. Monday pavement collapse is related to a water leak that caused a similar sinkhole on East Cesar Chavez Street to the north in mid-January. 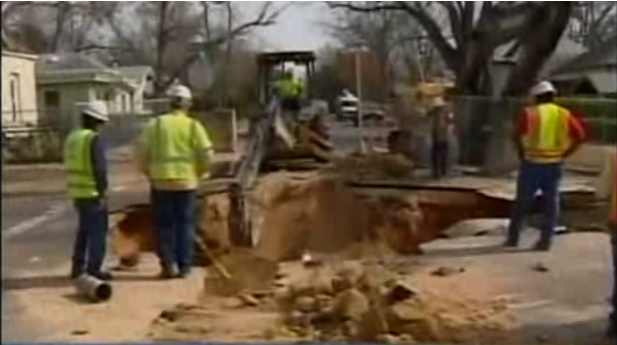 Austin Water Utility says the water apparently flowed underground to the south and undermined the Mildred-Willow intersection. 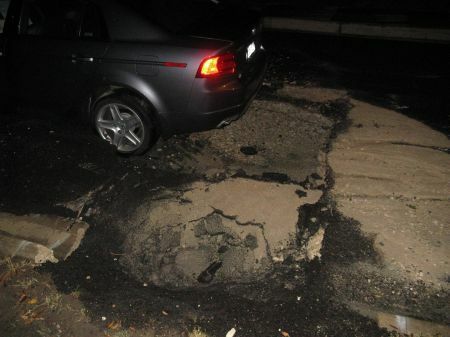 This entry was posted in Pictures and tagged Austin, sinkhole, Texas, water main. Bookmark the permalink.